Through the years, I've established ancestral connections to many different surnames in a variety of locations. My approach has always been to work on something until the trail goes cold, then turn to another topic for inspiration. While it's true that I could have worked more efficiently, had I stuck to one topic for longer periods of time, there was another factor at work. For me, family history research is supposed to be fun. If I ignored that, it would be like having one huge homework assignment that never gets completed. And for me, the fun is in new research, not (unfortunately) organization, or working through a checklist. As part of my campaign to do a better job, I made the Foglesong family the target of a recent set of internet searches. I descend from James Foglesong, born 1814 in Virginia, died 1889 in Lewis County, Washington. He was part of a large family that spent time in various areas of Virginia, including what would become Mason County, West Virginia. 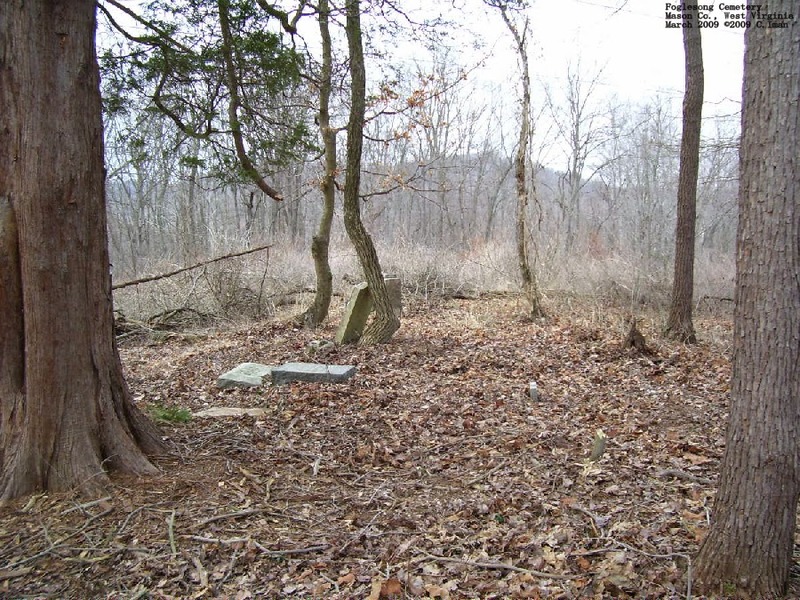 This terrific site consolidates cemetery information from northwestern West Virginia. The entry for the Foglesong cemetery contained a wealth of detail about its location, history, burials, and condition (abandoned), as well as several photographs. The entry states that James Foglesong's father, George Foglesong (1766-1850) is presumed to have been buried there. With all of the research tools that have become available, this information opens up new avenues of study. How I wish I'd taken the time to locate this information for myself, before I visited the area briefly many years ago! As 2014 opens, my resolution will be to dedicate myself to expanding my research, and, hopefully, to "get it right."